Time is under shift so does user behaviour. Time has brought up new technologies and websites no longer fixed width. Websites are designed to look same in every browser may it be mobile or web. Website designs are fluid and accommodating different resizing and scaling to meet the different browser screen resolution needs. Gone are the days when we had to design and develop different sites for different resolutions. With the advent of responsive website design, your site can look same on Tablet, Laptop, Desktop and smartphones. You don’t need to zoom-in to see read website content on your smartphone and scrolling endlessly to read the article or page content. We are going to explain few core differences and benefits of responsive design over here. Adaptive Design – It consists of multiple fixed width layouts. 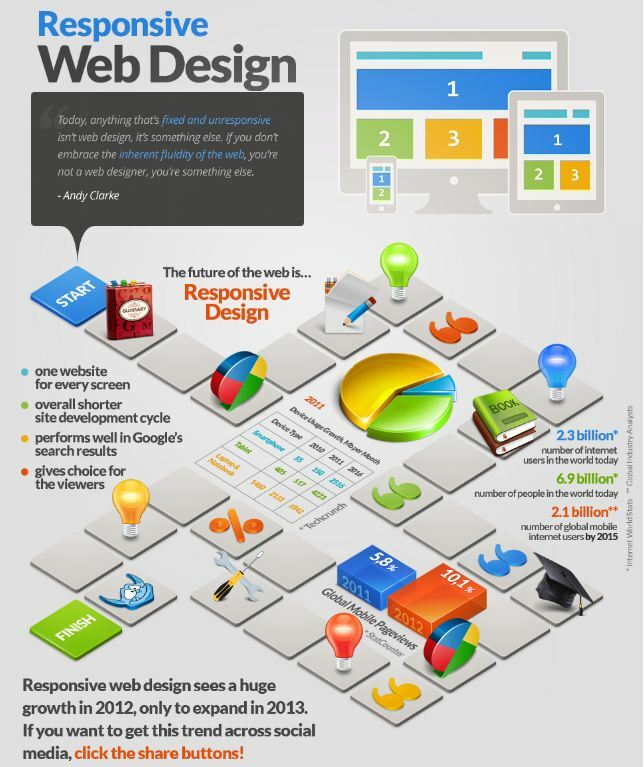 Responsive Design – It consists of multiple fluid grid layouts. Responsive design – As its name suggests, the design should respond to the user’s behaviour and environment based on screen size, platform and orientation. Fluid Grids – It’s an approach to defining various objects in code like columns, spacing and containers as your own way. Rather than using fixed measurements, always use percentages. Flexible Images – Flexible images scale with fluid grids. You can achieve it using different ways like using CSS overflow property or using different versions of images for different environment and devices. CSS Media Queries – It allows the designer to build multiple layouts using the same HTML by calling different style sheets based on browser window’s size, screen resolution, orientation, colour etc. Screen Resolutions – A layout which responds to predefined resolutions is called adaptive while purely responsive design uses percentages to allow an infinite level of scaling. Search engine friendly – Google favours serving the same HTML for all devices and using only CSS media queries to decide the rendering on each device. If you are interested in responsive web design, feel free to reach us.